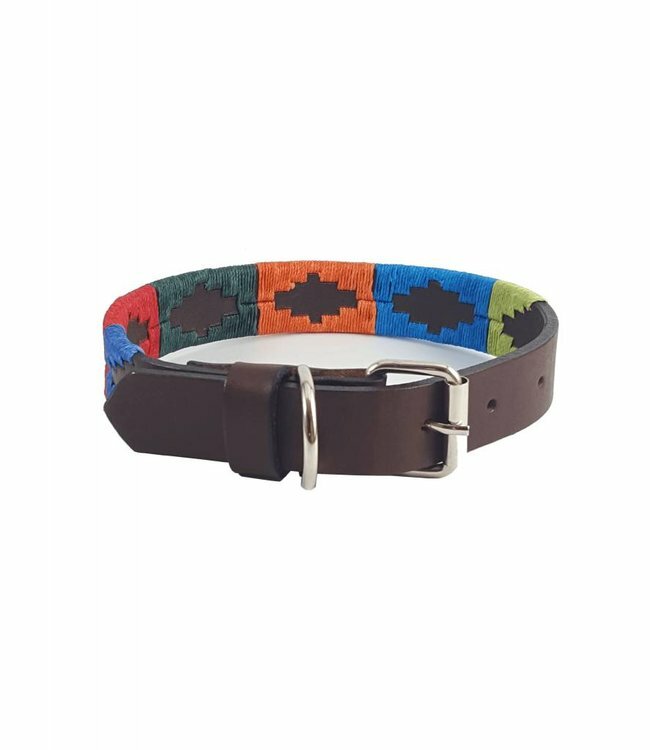 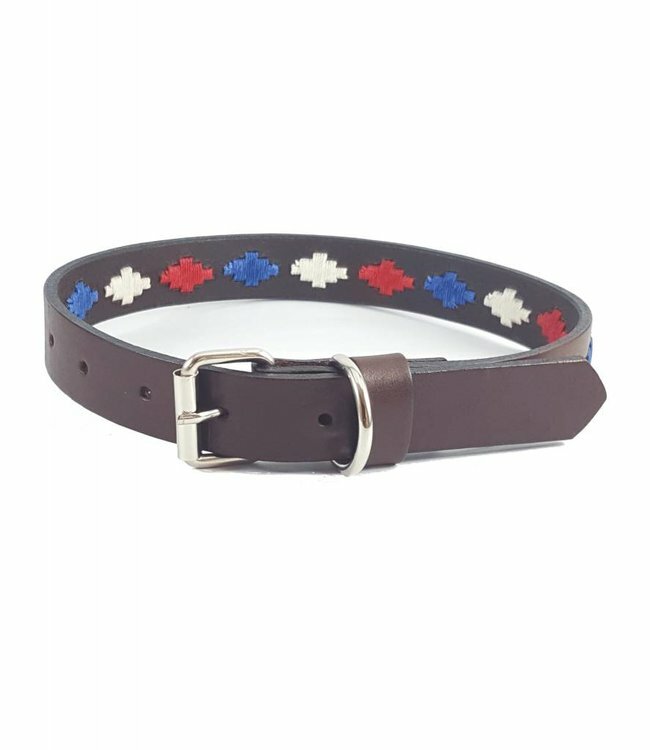 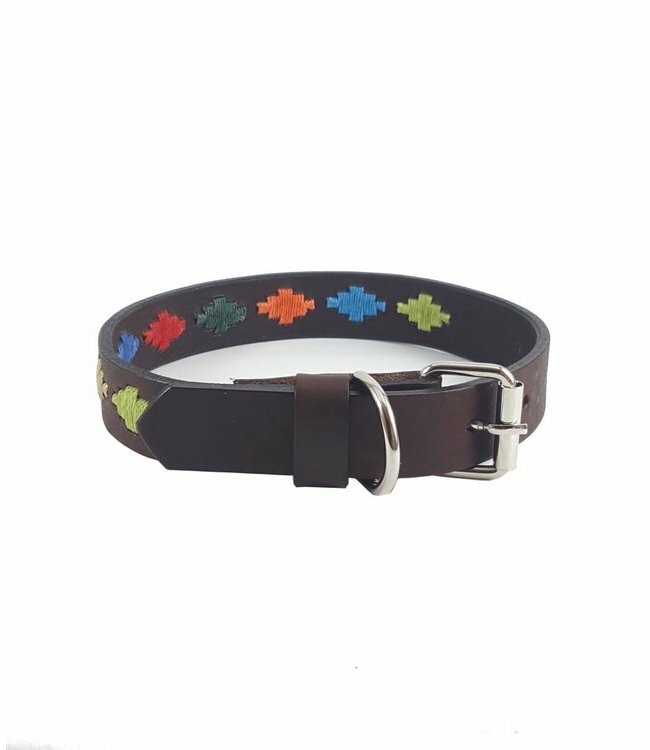 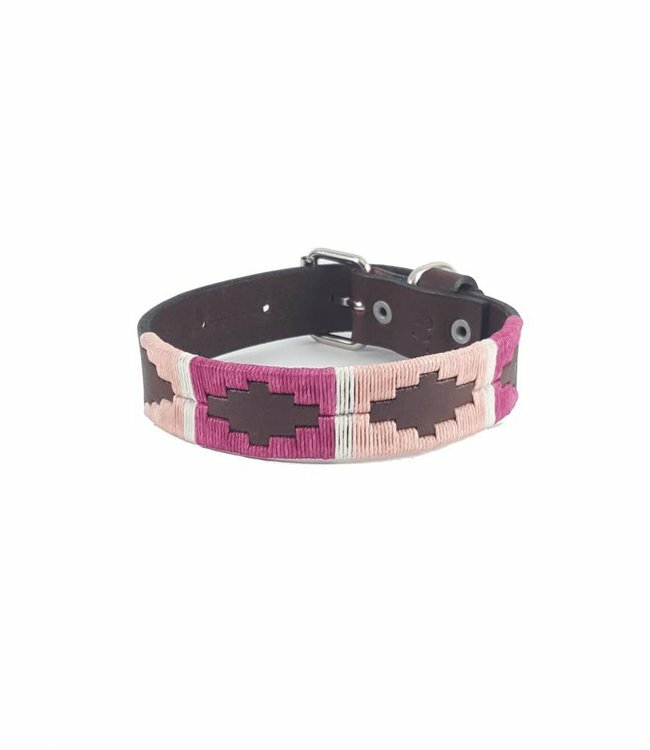 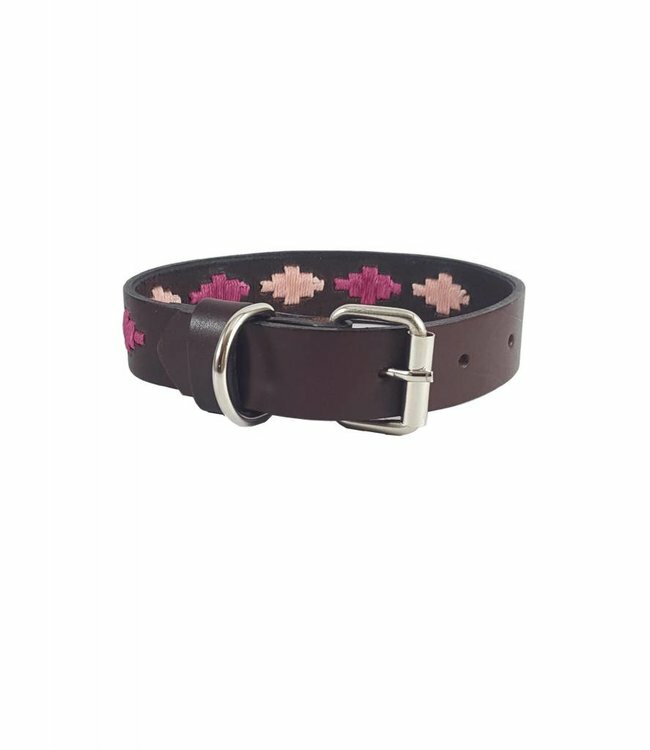 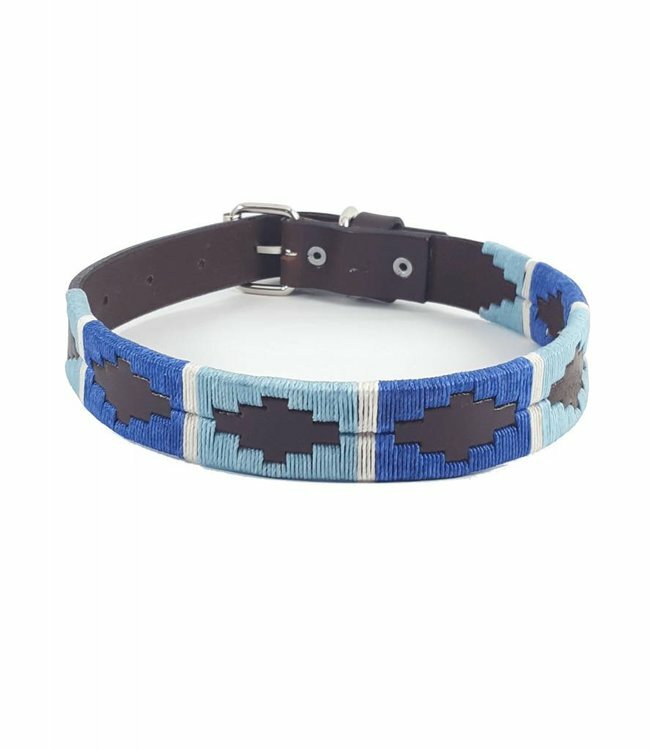 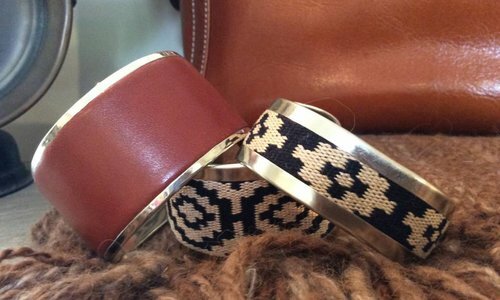 Colorful and fashionable Polo-style Argentinian dog collars, hand made using high quality brown bridle leather, with silver buckle and D-ring. 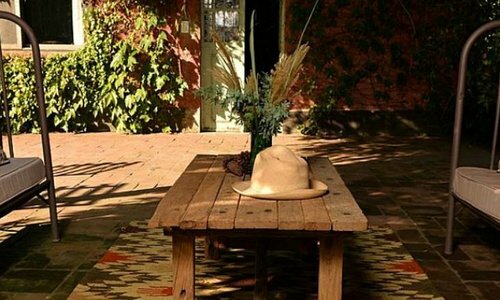 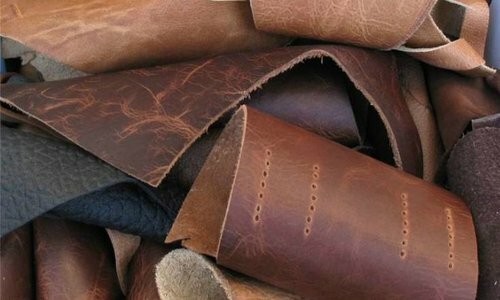 Please note that the leather color may vary slightly. 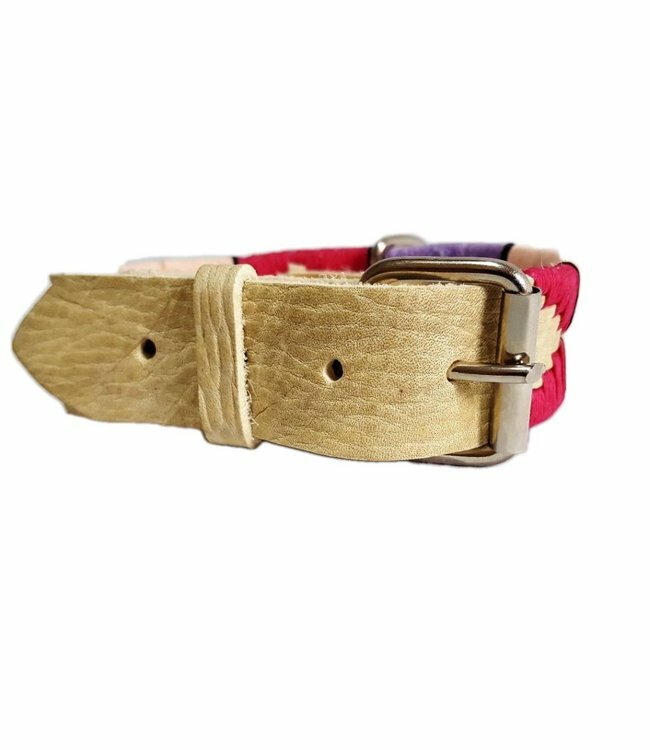 Read more..
Before ordering, we would ask you to please check the sizing chart image for help on finding your dog's size. 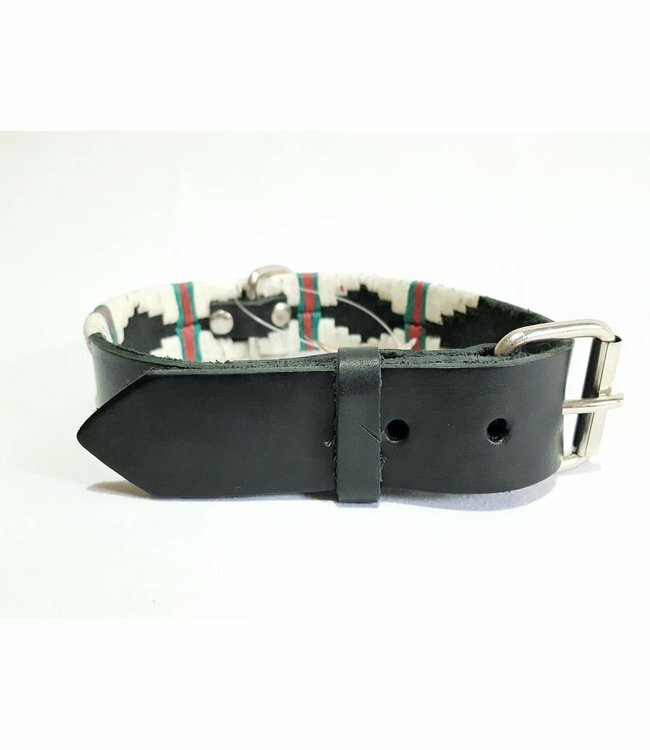 Measurement runs from the end of the buckle to the middle hole of the dog collar.